Aliens: Infestation, the latest release in the long running Aliens film series by 20th Century Fox is available today exclusively for the Nintendo DS in all major media regions outside of Asian territories. Developed by WayForward Technologies, this 2D side scrolling shooter has been getting many positive reactions. It is likely this may be one of, if not the last game SEGA will publish for the Nintendo DS platform. The game is also playable on Nintendo 3DS, the handheld’s successor. A gameplay trailer is available after the jump. SEGA have revealed through Comic-Con 2011 that they will release another game under the very popular Aliens film franchise titled Aliens: Infestation, a 2D side scrolling action game for the Nintendo DS. Curiously, this game had been referenced a number of times for almost three years now and is only now seeing a release this October. If the initial information is correct, the game is developed by WayForward Technologies, who are known for 2D handheld games such as Contra 4, Shantae and the recently released Thor for the Nintendo DS. 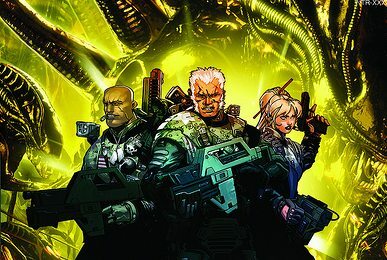 More information on Aliens: Infestation, such as the gameplay and art of the title is available at SEGA.com. Captain America: Super Solider is available now in all major retail chains. Three different versions of the game will be available, all under the same title. One for PlayStation 3 and Xbox 360 by Next Level Games, another for Wii by High Voltage Software, and a third for Nintendo DS by Griptonite Games. A 3DS version also exists but has been delayed, and the developer has yet to be announced. Captain America: The First Avenger, the theatrical counterpart features a different story entirely, so fans worried of spoiling the film do not need to worry. The feature film based on the Marvel comics franchise will be released in theaters this Friday, July 22nd. Conan said ohhhh it looks good! 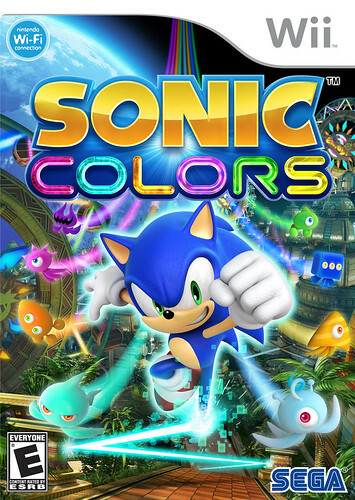 Sonic Colors, the newest release in the Sonic the Hedgehog series is out now in Europe and Australia for the Wii and Nintendo DS platforms. Both titles being significantly different games that follow a similar plot. It will be released in all of it’s other territories next week. Posted above is the launch trailer, demonstrating basic gameplay on Wii. After the jump is the DS version’s trailer to help differentiate the two. 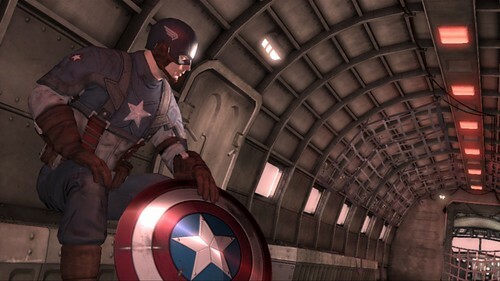 Set to be released next to the upcoming Captain America: The First Avenger film in 2011, Captain America: Super Soldier is an action game with platforming and ‘beat em up’ elements that will not share the same storyline as the movie. It is being developed on Wii, PlayStation 3, Xbox 360, Nintendo DS and PlayStation Portable by Next Level Games, who are best known for their work on Nintendo platforms in such games like Super Mario Strikers and the remake of Punch-Out!! on Wii.